Our apologies but if you are using Internet Explorer, messages do not always come through. Please use another browser such as Mozilla Firefox or Google Chrome. 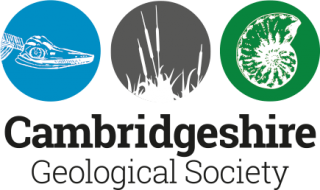 The Cambridgeshire Geological Society promotes interest in the geology of Cambridgeshire, the UK and worldwide. 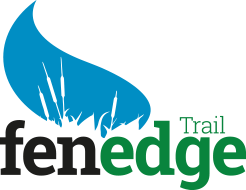 It welcomes new members who would like to learn more about their local landscapes, the rocks from which they are made, the way they were formed and how geology relates to our lives, past, present and future. 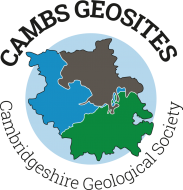 The Cambridgeshire Geological Society holds monthly talks (on the second Monday, from September to June) covering a wide range of topics including some of the latest research in geology. The talks are held in Cambridge at 7.30 pm (doors open 7.00). More details here.